SAMUEL FRENCH, 1977, A Drama in two Acts, Good solid paperback with moderate reading/age wear. May have some light markings. Pages may have some mild tanning. We take great pride in accurately describing the condition of our books and media, ship within 48 hours, and offer a 100% money back guarantee. 1977 Samuel French Good solid paperback with moderate reading/age wear. May have some light markings. Pages may have some mild tanning. We take great pride in accurately describing the condition of our books and media, ship within 48 hours, and offer a 100% money back guarantee. Acceptable. STARVING STUDENT EDITION! Sometimes you need an extra. ACTING SCRIPT with HIGHLIGHTING, UNDERLINING and MARKINGS. Some shelf wear and edge wear to the covers. ROUGH but STILL USEFUL for your audition, study and theatrical needs. Very Good. 0573640238 Very Good Condition. Five star seller-Buy with confidence! Acceptable. THE SCRIPT! 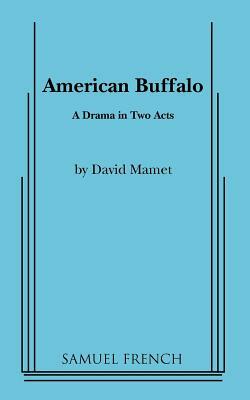 ACTING EDITION SCRIPT for your dramatic needs. Some shelf wear to the covers. The front cover has a fold mark. Some pages below that have their corners folded. This is the ACTING EDITION SCRIPT!